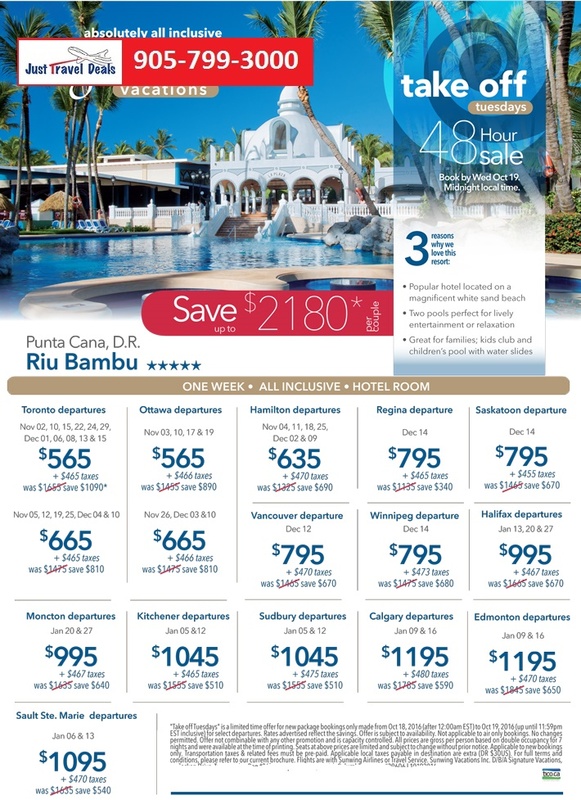 Set into acres of abundant palm groves in Punta Cana, the Riu Bambu is a popular location for getaways in the Dominican Republic. Situated on the scenic Arena Gorda Beach, you can admire the crystal blue ocean while relaxing on a complimentary sun lounger on beautiful white sand. Ideal for visitors of all ages, this resort offers a wide range of activities for younger guests at the RiuLand kids’ club, along with a playground and children’s swimming pool equipped with fun water slides. Parents can try out various water sports like bodyboarding and snorkelling or simply kick back by one of three swimming pools with a tropical beverage in hand. Savour international and authentic Latin cuisines at a selection of restaurants that prepare delicious Mexican, Italian, Asian and classic steakhouse meals. Groups Receive Up to a $2,000 Air Credit at AMResorts! Deal of the Week Save on Bahia Principe Hotels & Resorts!